22 July 2011, London: After an 18-month search, the GSMA today announced that Barcelona has been selected as the Mobile World Capital from 2012 to 2018. As the Mobile World Capital, Barcelona will be the home of the mobile industry’s must-attend event, the GSMA Mobile World Congress, and will also develop a range of other programmes and activities that will span the entire year and will benefit not only the citizens of Barcelona, Catalonia and Spain, but also the worldwide mobile industry. The cornerstone of the Mobile World Capital is the Mobile World Congress, a four-day event which in 2011 attracted more than 60,000 attendees from 200 countries, including 3,000 CEOs, government delegations from 131 countries and more than 2,900 media representatives. Starting in 2013, the Mobile World Congress will be held at the cutting-edge venue Fira de Barcelona Gran Via. 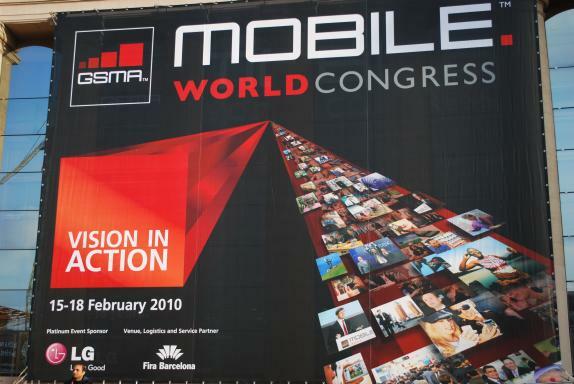 The dates for the 2013 Mobile World Congress are 25-28 February 2013. Beyond the Mobile World Congress, the Mobile World Capital also features two additional elements: the Mobile World Centre and the Mobile World Festival. The Mobile World Centre will comprise permanent and temporary exhibitions which meld culture and technological innovation, facilities for the development and incubation of mobile solutions, and retail and hospitality venues. The Mobile World Festival, which is targeted to the general public, will incorporate a range of activities including sporting events, music and art festivals, film awards, applications and technology fairs and more. According to estimates from the Barcelona Candidacy, the Mobile World Capital would bring, in the first year alone, more than 300 million euro, along with thousands of part-time jobs. As some of the initiatives have a mid-term reach and will grow steadily during their implementation, the economic impact is expected to increase progressively and, based on Barcelona’s assessments, could reach 3.5 billion euro over the seven years of the Mobile World Capital. The selection of the Mobile World Capital was based on many criteria and took into consideration all aspects of what a city can offer. The GSMA undertook a thorough and complex evaluation process, starting with 30 cities, narrowing it down to six cities, reducing it to a short list of four finalists, and then finally, selecting Barcelona as the Mobile World Capital. The GSMA and Barcelona will hold a joint press conference at 11:30 am CET on Wednesday 27th July at the Fira de Barcelona Montjuic. John Hoffman, CEO of GSMA Ltd.
During the press conference, the executives will elaborate on the shared vision of Mobile World Capital – Barcelona and provide greater detail on the programmes and activities that Barcelona will be undertaking in the Mobile World Capital.